1). 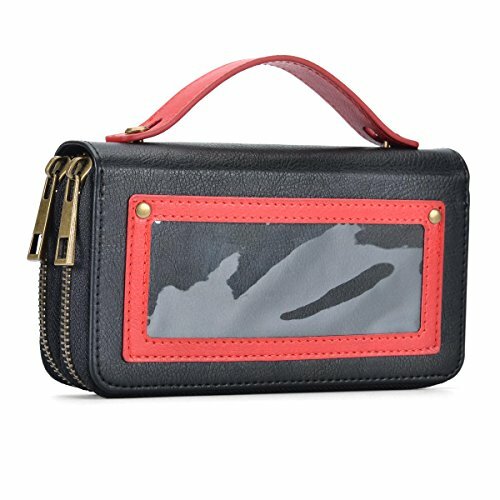 COMPACT SIZE - Dimensions: 6.29L x 3.35W x 1.77H inches, just the right size for a wallet that you can easily hold it on hand or put it in bag. 2). 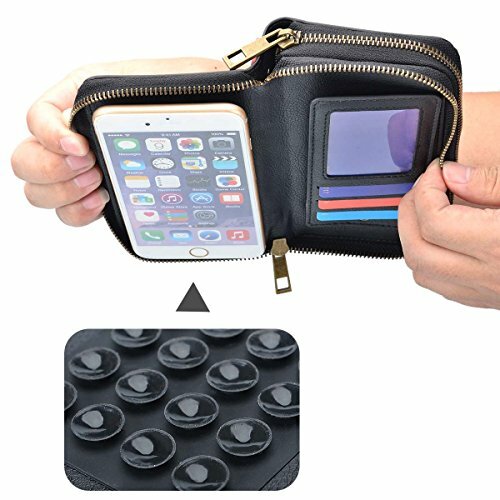 MOBILE PHONE CASE - Built-in suction cups, fix your phone tightly and prevent it from sliding around in the wallet, fit for all 5.5 inch cellphone, including iPhone 7 Plus/ 7, 6 Plus/ 6s/ 6, 5s/ 5/ 5c and more other android phones in the same sizes. 3). 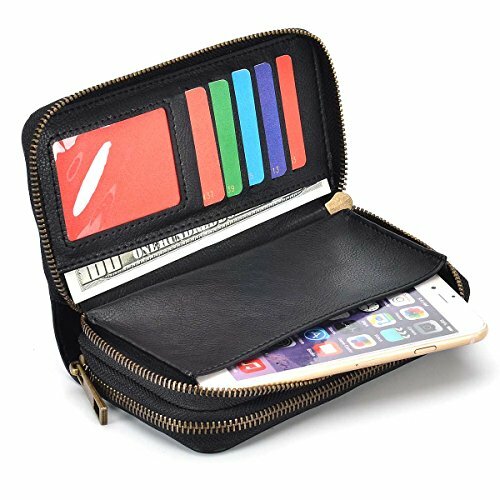 MULTIFACTIONAL WALLET - 8 card slots(including 2 id window), 1 bill compartments(cash need to fold), keep your credit cards, cash, and your cell phone well organized. 4). 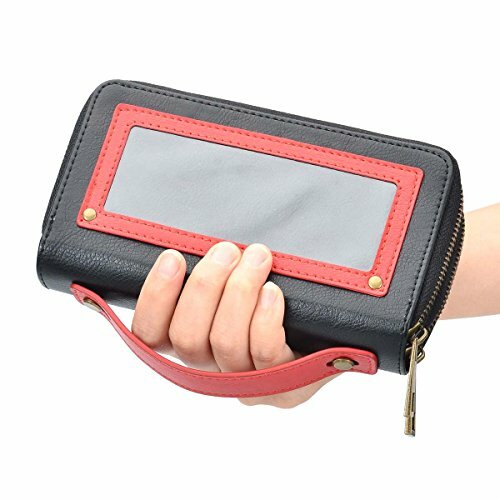 HIGH QUALITY MATERIAL - Scratch resistant, durable and light weight, the classic designed wallet purse is perfect for travel and work, makes you outstanding and unique from others. 5). SATISFACTION GUARANTEED - We stand behind our products and offer a 45-day money back guarantee! If you are not 100% SATISFIED, simply contact us to return the product for a refund or a replacement. MATERIEL: High quality leather, soft and durable. STRUCTURE: One cell phone & card holder section, in which you can put your cell phone and cards. 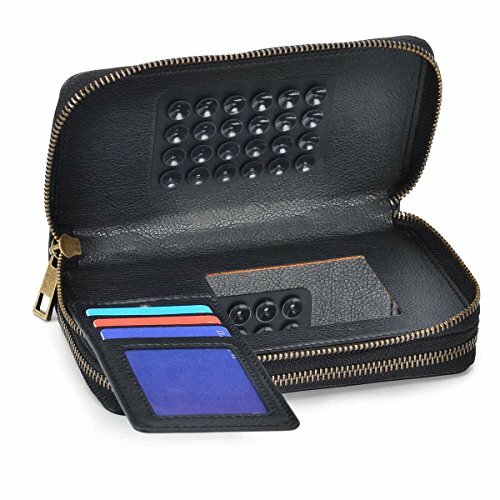 There are 8 card slots available including 2 clear slot for your ID Card or Driver License, the main compartment for cash,1 x mirror, 1 x Built-in suction cups.